Prior to this process, you should have already printed shipping labels for your cartons. 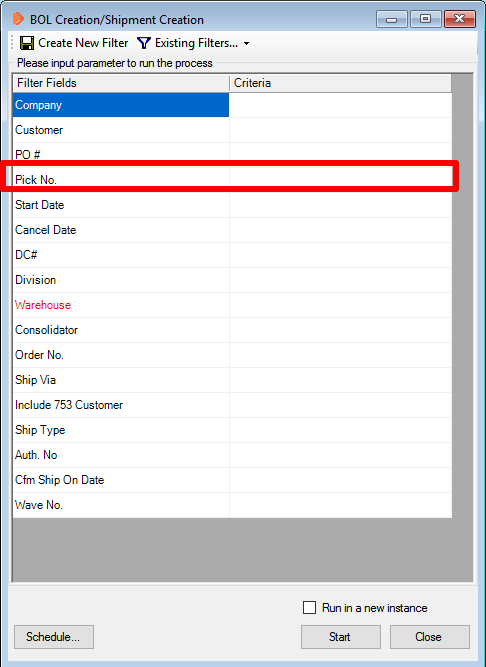 After you print the labels, scroll down to see the steps for creating bill of lading. There are many ways to search for the pick ticket. The easiest is to use the Pick Number. 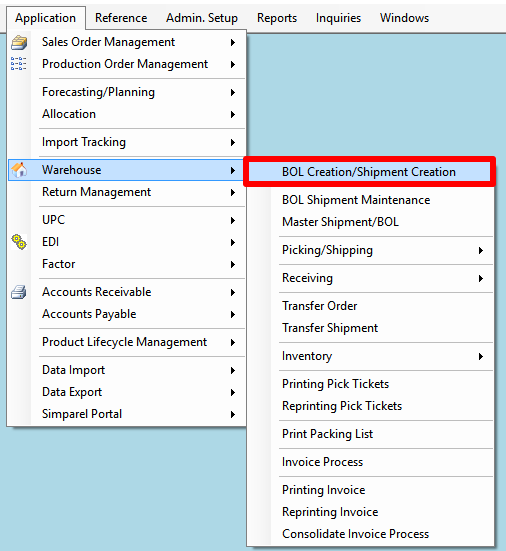 Enter the Pick Number into the BOL Creation/Shipment Creation window. 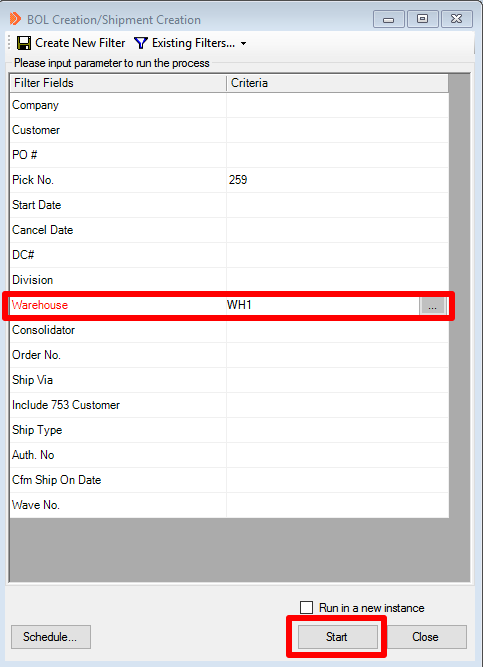 Type in WH1 next to warehouse. Then, click Search at the bottom right. Make sure to write down the BOL number for future reference. In this example, the BOL number is 313. This message will appear if there are no open Pick Tickets for a BOL to be generated against. This could happen if a BOL was already generated.